Last week saw the release of issue 4 of Pretty Deadly and issue 2 of Dead Body Road. I was able to get a hold of them over the weekend and wanted to share my thoughts on how the series are progressing. This issue introduces us to a new character, Rachel, who is Jimmy Stowes wife, well widow would be more accurate, but she doesn’t know that, yet. She is seemingly on the run from the same people who killed Jimmy as she knows where the information they seek is. As with the previous issue, the story moves quickly with action and gun fights being the driving force. Main protagonist Gage is quickly introduced to Rachel after helping her fight off two of the people chasing Rachel. Initially Rachel is wary of him, and distrusts him. Gage then has the unfortunate task of explaining what happened and the fate of her husband. He then informs her of his plan for revenge after the death of his wife. I really love that the series doesn’t try to over complicate things with the story. It’s straight up action, and it works, very well! I’m interested to know where the series will go from here. Will it keep going with the same forumla? Or will Justin Jordan try to mix it up a bit? I get the feeling that there could be a couple of twists a little later down the road, after what heist story doesn’t have to odd twist. To be honest I don’t mind either way. I’m invested in it, and I want to see how things turn out. 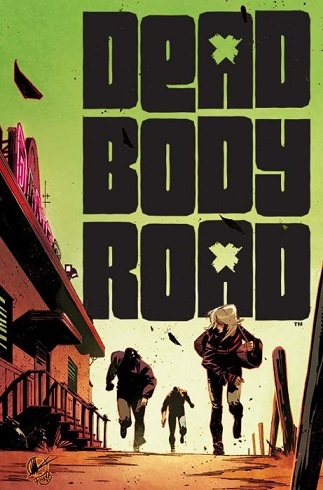 Dead Body Road, is one of my favourite comic series at the moment. Matteo Scaleras brilliant artwork has a lot to do with this, he manages to really bring the action scenes to life with a gritty and violent realism. I would seriously recommend ready this series if you want to read a good action story, that isn’t pretending to be anything else. 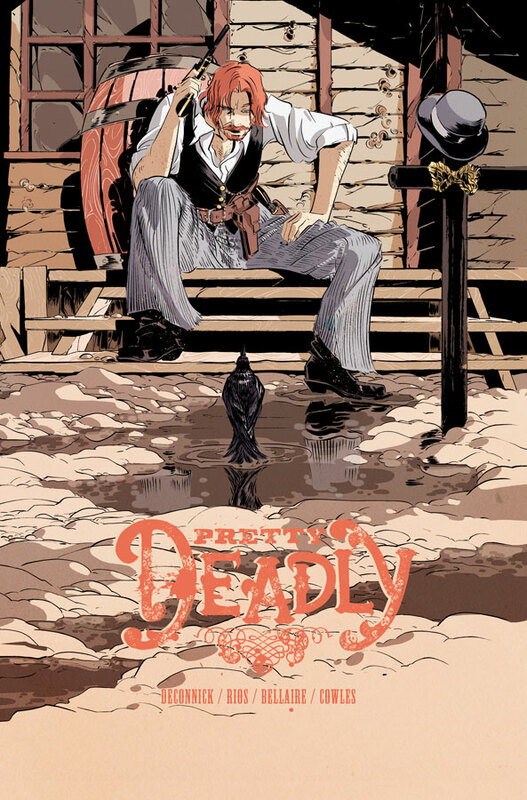 Pretty Deadly is a very different kettle of fish when compared to Dead Body Road. In the last issue we started to learn more about some of the major characters and Sissys origin story, this issue 4 continues to develop the characters. We start to see a bit more of Johnny Coyote, who Sissy stole the letter from in issue 1. He finds Sissy half drowned and separated from Fox, who is somewhere else, also half drowned. But when he comes to, he has deaths daughter Ginny standing over him. They slug it out in a brilliantly penned fight scene. All the while death is conversing with Alice, he wants her to bring Sissy to him, for what I’m not sure. And to be honest this is kind of how I’ve felt with a fair amount of this series, not knowing entirely what is going on. The story is deep and complex, and can be a little confusing at times. However with each issue, it opens up a little more, and the story is slowly coming together to what I can only imagine will be an epic climax whereby all main characters will meet, and most likely fight. How will it all pan out? I don’t know but I can’t wait to find out. Kelly Sue Deconnick has really created something special with the story in Pretty Deadly. Couple with the fantastic artwork from Emma Rios helping to bring the alternate wild-west to life. Pretty Deadly is quite simply a fascinating series, that I keep wanting to read over and over.